In a partnership that may inspire some to put their tinfoil hats on, Google has reportedly turned to the National Security Agency for help in improving the company's security infrastructure. The new partnership is still being finalized, but will be aimed at preventing future attacks like the one that hit Google in December, according to The Washington Post. This is not the first time the NSA has been tapped to help a U.S. corporation with cyber security, but the purported partnership would certainly be unique since Google's servers house such a vast collection of user data including search histories, e-mail, and personal documents. News that Google is working with one of the government's top spy agencies may sound discomforting, but anonymous sources speaking with the Post said the deal would be focused on protecting data and not violating the privacy of individual Google users. "The deal does not mean the NSA will be viewing users' searches or e-mail accounts or that Google will be sharing proprietary data," the Post reported. Google is reportedly hoping that the NSA will be able to help Google understand how its infrastructure was compromised, and develop methods to prevent similar intrusions. 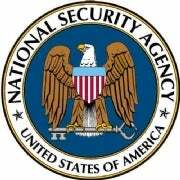 Although best known for its roles in operations like the Bush administration's warrantless wiretapping program and collecting telephone records, the NSA has worked with other corporations on security matters in the past. In 2007, the NSA helped Microsoft develop parts of the Vista operating system to meet U.S. Department of Defense requirements for security and interoperability with other government software. In 2009, the NSA worked with over 30 other cyber security organizations and companies including Symantec and Microsoft to write a report outlining the twenty-five most dangerous programming errors developers often make. The list was designed to help software makers avoid these security holes before bringing their products to market. In December, Google disclosed that it and 20 other U.S. companies were the victims of cyber attacks that originated in China. Google has said some of its intellectual property was stolen during the attacks, and the company is considering pulling its operations out of China over the attacks.